Stunning new acquisition to the University Art Collection is a fitting send off to former Vice-Chancellor Caroline McMillen. 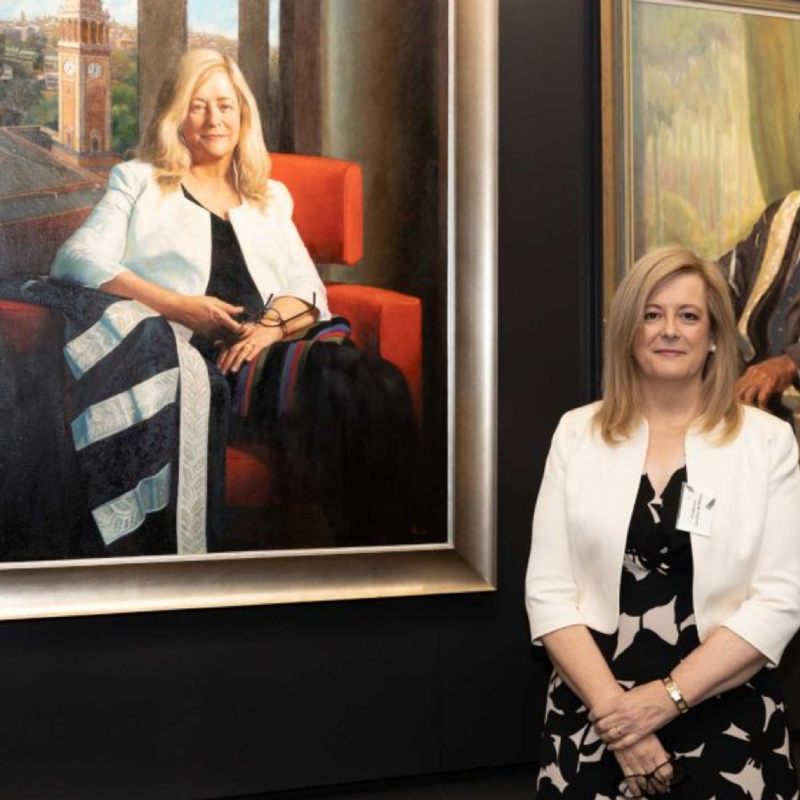 The portrait wall at the Great Hall has a new addition - a stunning work of our previous Vice-Chancellor Professor Caroline McMillen by Sydney based artist Sally Ryan. The portrait has a composition that takes in the view from New Space to the Town hall, signifying our significant move to the city, and a memento of Professor McMillen’s father, university colours from Queen’s University, Belfast, on her lap which signifies her enduring commitment to equity in education, as her father was enabled to attend university after WW2. The artist has recently been represented in the Salon des Refuses in which she was awarded the People’s Choice Award. Additionally, Sally is a finalist in the prestigious Doug Moran Prize for Portraiture, a testimony to her talents and the strength of our portrait exemplifies that.